We have been welcoming ladies with a military connection into our choir since April 2010. The name WAGS comes from the ladies who we reach out to in our community, in and around Catterick Garrison, Richmondshire, North Yorkshire. The acronym WAGS covers our members of Wives, Affiliates (eg Mum, daughter of serving armed forces personnel, teachers in our Garrison Schools, MOD establishment employees) Girlfriends and Servicewomen. The Military WAGS Choir, Catterick Garrison was conceived back in early 2010, as a direct result of the conflict in Afghanistan. A large deployment of troops was due to leave the Garrison, at a time when injuries and loss of life was high, this determining factor led to two wives; Nicky Clarke and Caroline Jopp approaching Carol Gedye with the idea of starting up a choir. The thought was to give those left behind a focus, a support group to keep spirits high with fun and friendship, it did that and much more! 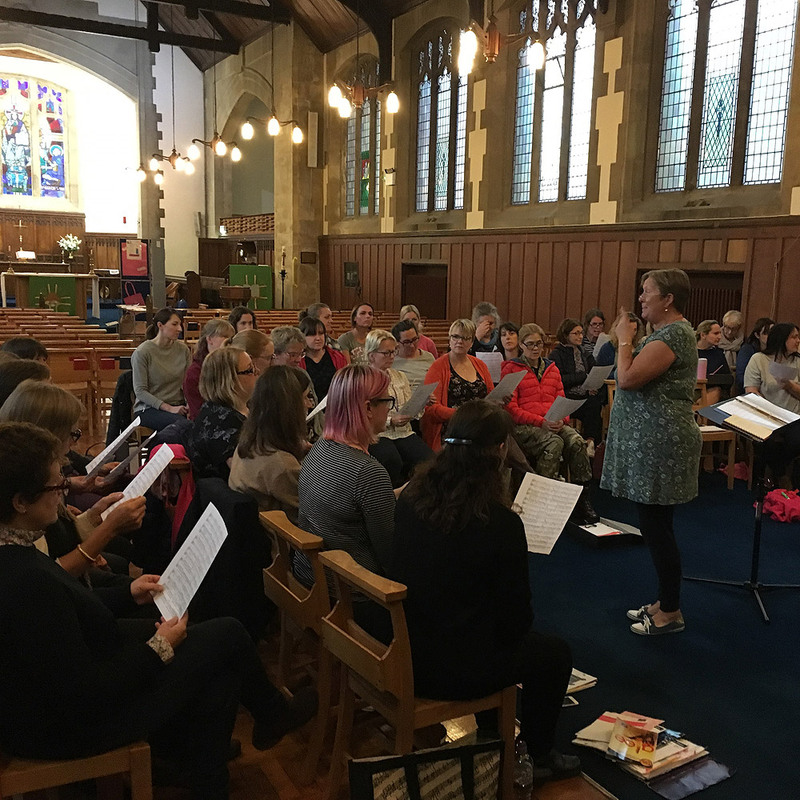 What happened after the very first rehearsal, in April 2010, has made the last eight years significantly more bearable for hundreds of ladies who have passed through our doors and led, to a replication of its efforts throughout the country (and beyond) with like minded choirs. 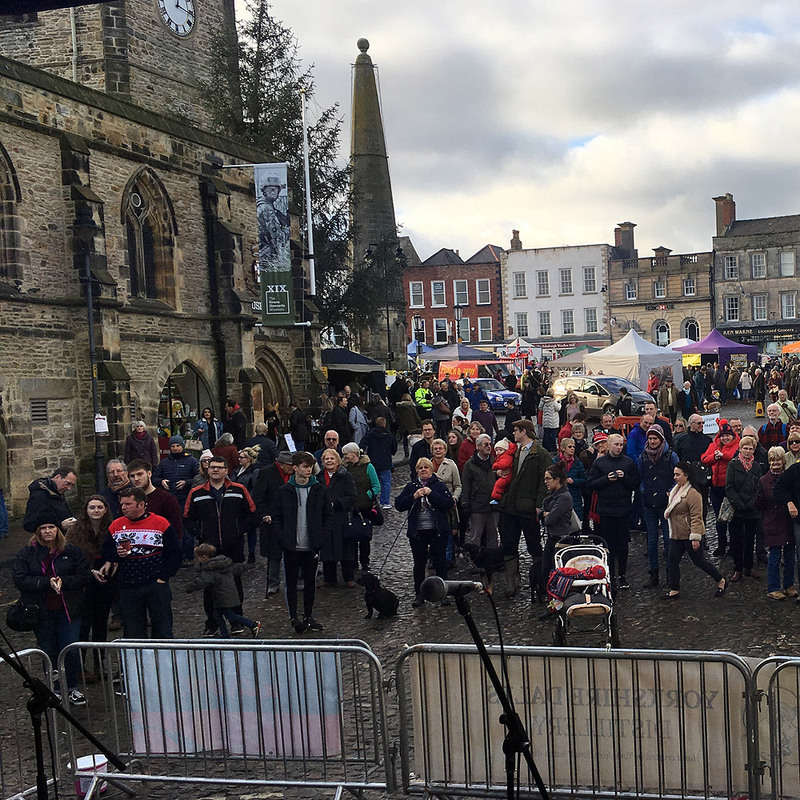 Nicky had written to Gareth Malone about setting up the choir in Catterick but logistically he was unable to help at the time but subsequently in 2011, went on to set up two choirs in the TV series The Choir:Military Wives. 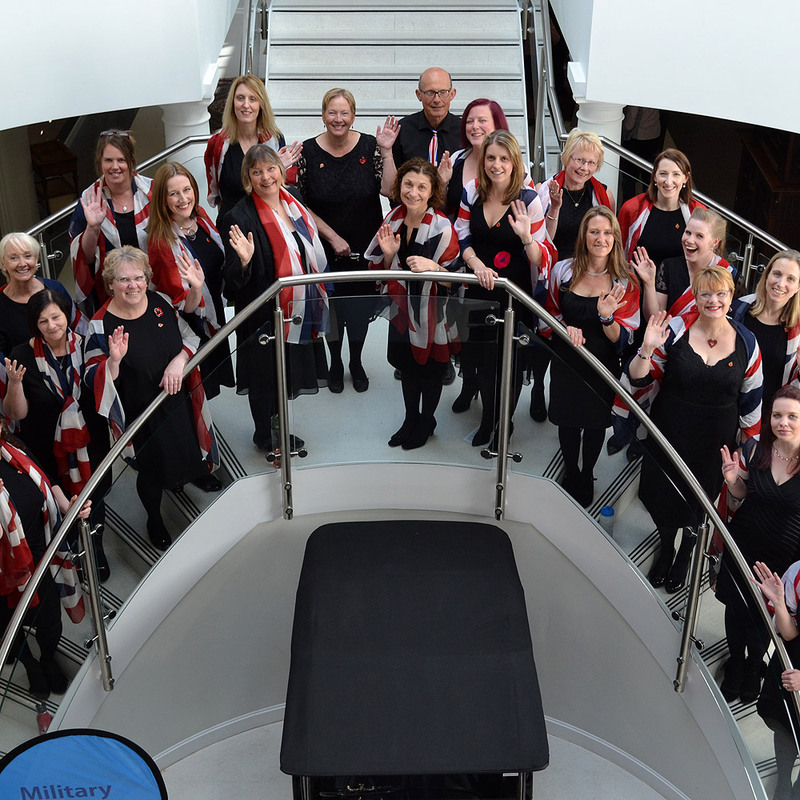 Since those early days, the Military WAGS Choir achieved charitable status in its own right, today it is led by and relies on a small committee of volunteers from the choir, supported by its trustees and sponsors. 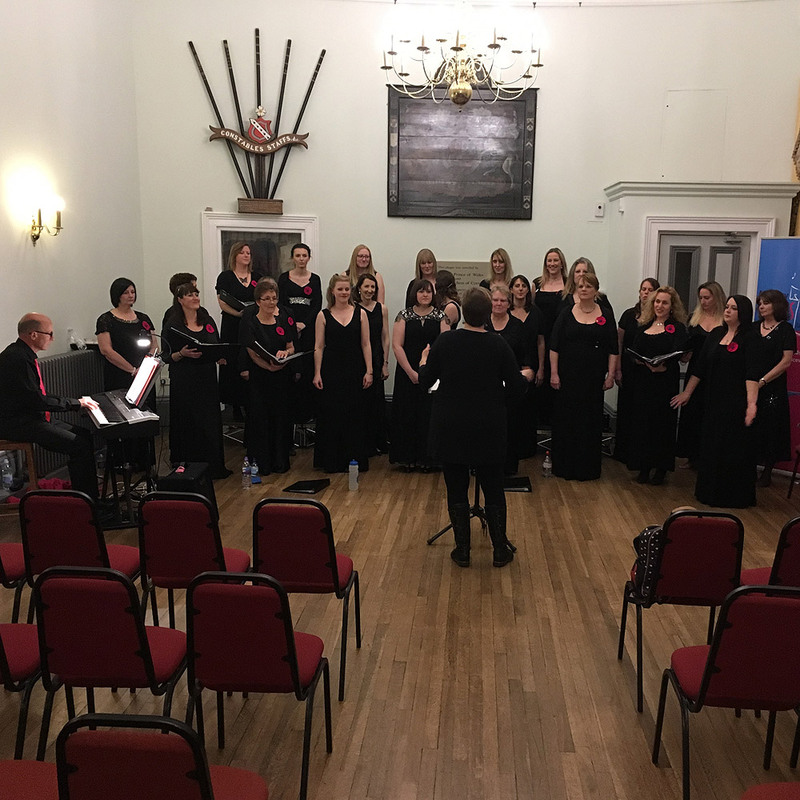 Any donations gratefully received, afford the choir an ability to continue running for the support of women involved with the military in and around Catterick Garrison. It could be said, strangely, that the WAGS choir exists because of war but no one knew at the choirs inception, that something bore out of war, would have led to such a powerful, exciting and fulfilling journey for so many ladies. This 'movement of women' this choir, has been lucky and very often privileged to perform at many, many events both locally and nationally. 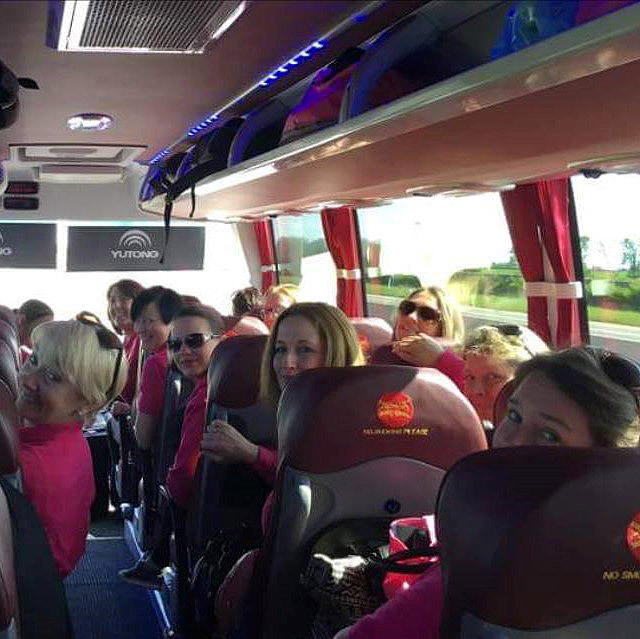 The choirs ethos has always been to provide support, friendship and fun through singing and this has never been more evident than when the ladies are dealing with lengthy periods of separation from their loved ones. For many, the support from the choir is what keeps them going, when their wider families live many miles away. Would your business be interested in supporting the WAGS? This may be the first time your business has thought about sponsoring in this way, or it may be that you sponsor many different organisations. This is a way in which you can embark on something new without huge financial commitment.